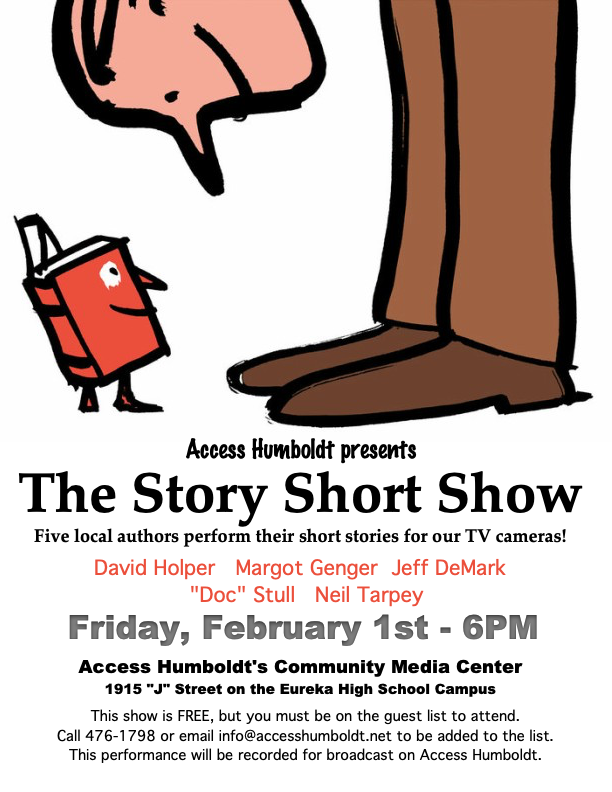 Television Appearance on Access Humboldt: The Short Story Show! Doc will be presenting an excerpt from his recent Spoken-Word-Latin-Jazz show. The Cuban Diaries. Join Doc Stull, Neil Tarpey, Margot Genger, David Holper, Jeff DeMark and Matt Knight as he hosts some of Humboldt County’s most prolific and entertaining writers with a live studio audience as they present short stories and poetry. This entry was posted in ESPN Sports Today and in the Day, Uncategorized and tagged HBO Sport in America, Muhammad Ali, television appearance.